In 1731 a widow named Sarah Kirkwood and her young son Robert and daughter sailed from Donegal, Ireland to New Castle, Delaware and settled in Newark, Delaware, becoming part of the history of the new world. Robert Kirkwood grew, married, and in 1758 applied to the Colonial Government for a tract of land in Harford County, MD, which in time was approved and deeded to him by Lord Baltimore in 1763. Robert moved his family to his new homestead and named it after his beloved childhood town. 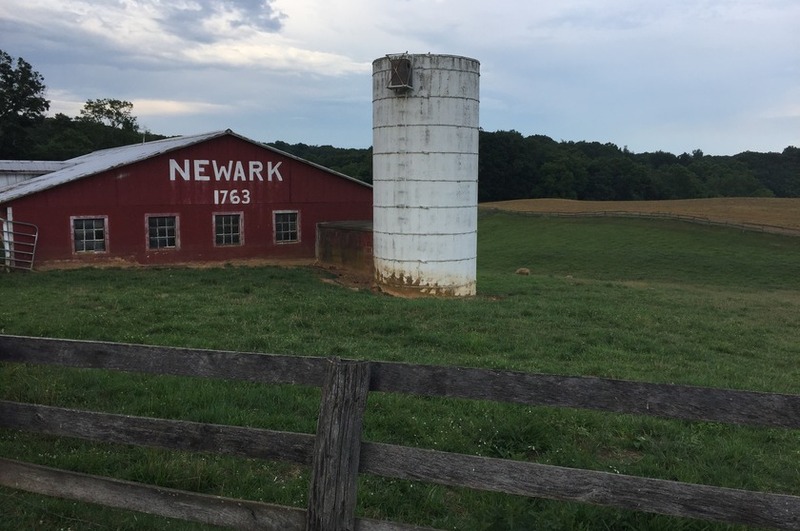 So starts the story of Newark Farms, our story. Eight generations have grown up here, worked the land, cared for the local environment, fought for our country, and created their legacy for the next generation. Our children, generation number nine, are growing, playing, and loving their animals, land, trees and streams. We work hard every day to maintain that legacy for them. We work hard to protect the local environment, support the local community, and continue the story. Products Overview: We raise angus cattle, sheep, pigs, chicken and turkey. All are raised the old way, when natural food and humane conditions were the norm. The cattle, sheep, chicken and turkey live on pasture all their lives. Chicken and turkey are fed non-GMO feed.